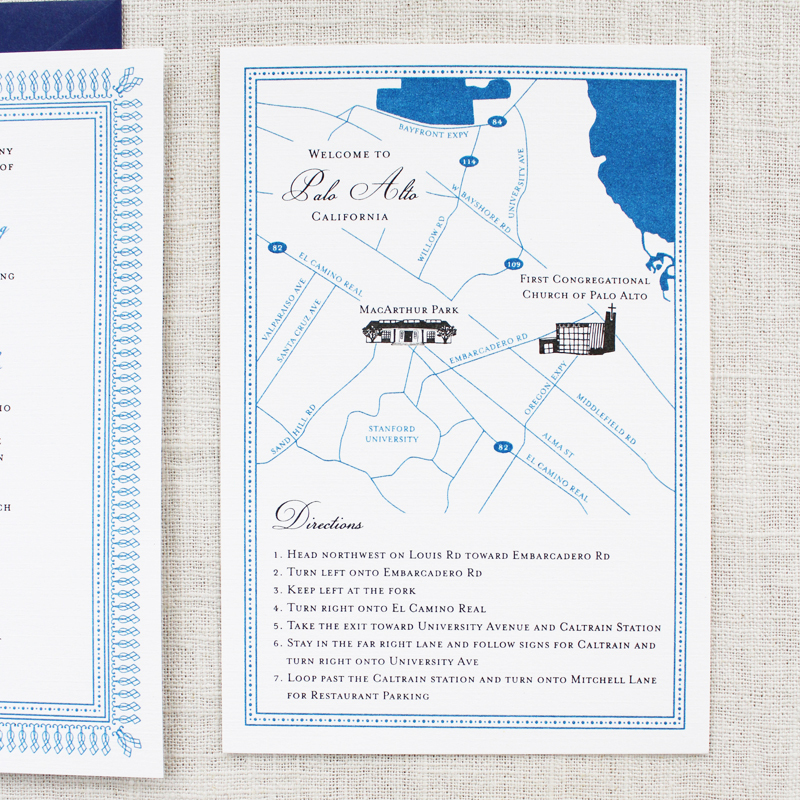 Elaborate borders and a custom map are the focal points of Christine and John’s California invitation suite. 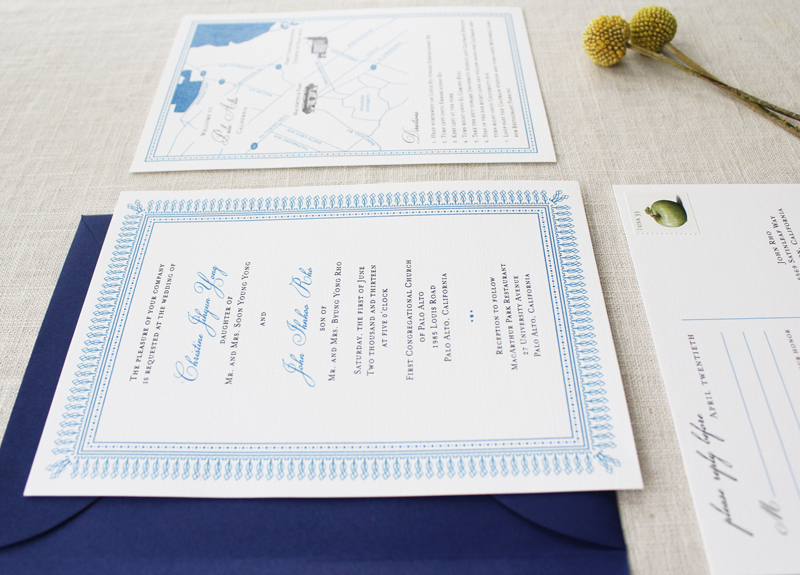 We went with a reply postcard to keep this suite simple. 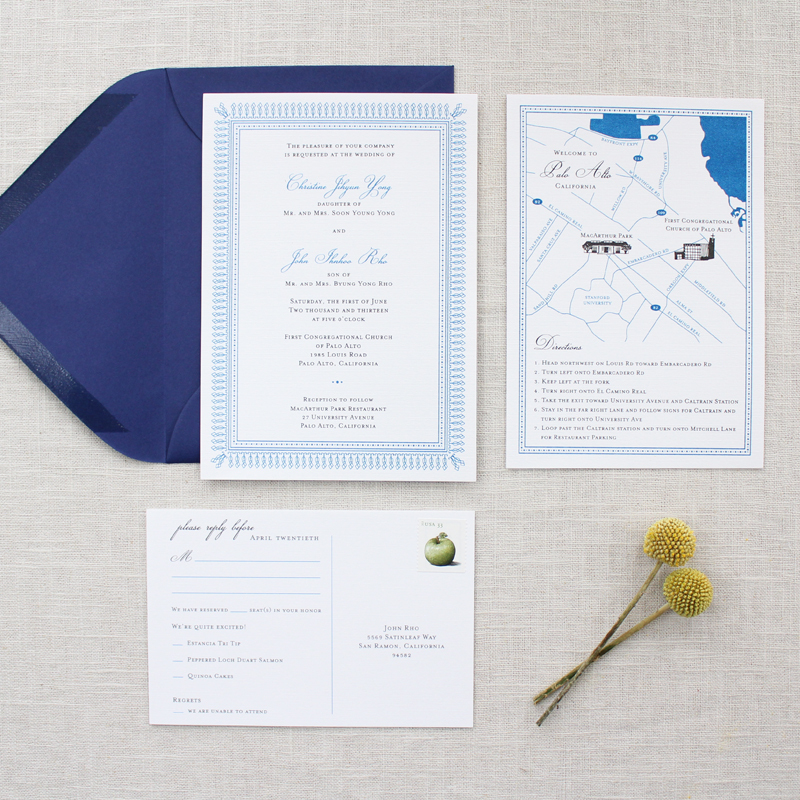 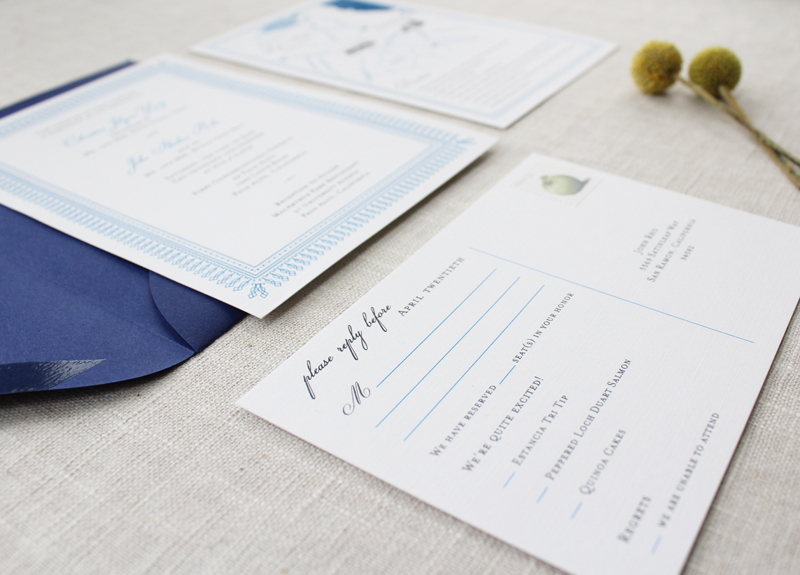 The bright blue and black color combination gives this Summer suite a pop of color.